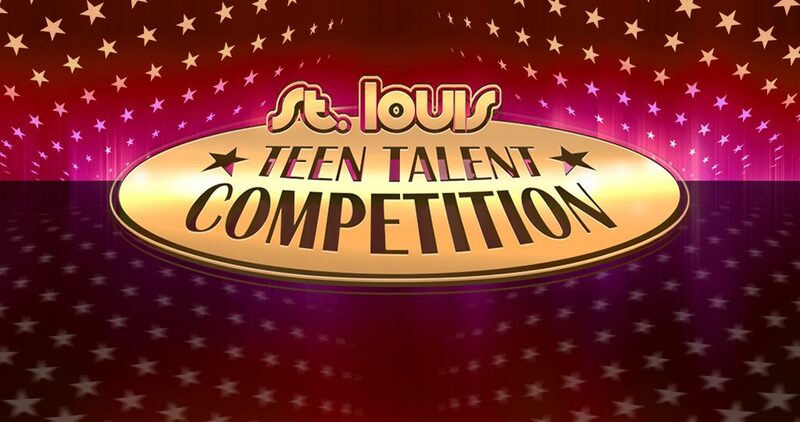 The 9th Annual St. Louis Teen Talent Competition is on Saturday, April 13, 2019. Students will compete for college scholarships, cash awards, prizes and public appearance opportunities at the Fabulous Fox Theatre. We are thrilled to have Hamilton star, Yvette Lu, as this year's competition host! Yvette grew up and performed in St. Louis as a dancer before starting her musical theatre career. She is also an alumna of the 2013 Teen Talent Competition. Brooke Reese, Dessarae Lampkins, De’Jai Walker and Arielle Adams, are all Seniors from Hazelwood Central High School. They have all been performing since a very young age. They can't wait to impress their inspiring coach, Jamell Jacobs! Kaley Bender (Sophomore) from Nerinx Hall and Nathanial Mahone (Sophomore) from Lafayette Senior High School have years of experience performing at The Muny in St. Louis and have always dreamed of performing on the Fabulous Fox stage! Emmanuel Morgan (Junior) and Thaddaeus Morgan (Sophomore) from Kirkwood High School have performed together for 4 years. They are excited to learn what it takes to put on a polished performance! Mackenzie Branson (Freshman), Emma Bilzing (Sophomore), Ja’la Stancil (Sophomore), and Kaele Kidwell (Senior) at Belleville East High School are excited to bring their taping skills to the big stage and gain experience in front of a large audience! Afiya Faatuono (Sophomore) from McKinley Classical Leadership Academy is a self-taught musician. She has dreamed of performing in this competition ever since she attended the last three annual Teen Talent Finals! Jameson Falconer (Sophomore) from Ladue Horton Watkins High School has been playing piano since the age of 4. He prepares for the competition by making a checklist of critiques from the judges to work on for his next performance! Ashley Gardner (Junior) from Trinity Catholic High School has been performing since she was 13 years old. She was inspired by her parents and their passion for their professions, which led her to want to have a strong passion herself! Madelynn Gartland (Sophomore) from Kirkwood High School draws her inspiration from artists like Freddie Mercury and Lady Gaga. She says she aspires to be “authentically herself” like them! Oliver Layher (Senior) from Vianney High School and Kyran Walton (Senior) from Metro Academic and Classical High School, would like to improve their act and become better at "telling a story" so they can continue displaying their talents on stage! Samanvita Kasthuri (Junior) from Parkway South High School is an experienced Teen Talent competitor and even won 3rd place in the 2017 Teen Talent Competition! She is inspired by her father who is also her dance coach. Anne Oberman (Junior) from Cor Jesu Academy has had the honor of performing with the St. Louis Ballet in full length ballets such as the Nutcracker. Anne hopes to grow within her craft, as well as learn more about herself along the way! Sean Petric (Sophomore) from Oakville High School learned to juggle by joining the juggling club at Circus Harmony, where he continues to practice in the ring to prepare for the show! Mereya Riopedre (Junior) from MICDS says the highlight of her career has been winning two superior awards at the Mid-America Music Association Competition! She would like to learn performance techniques in the process. Joanna Serenko (Senior) from Kirkwood High School plays regularly at sets around town, which has been beneficial in preparing for the competition. She would like to encourage audience participation and incorporate speaking into her performances! The Fox Performing Arts Charitable Foundation and Fabulous Fox Theatre would like to congratulate all participants! We can't wait to watch the finalists bring their talent to the Fabulous Fox on Saturday, April 13! Tickets are available online at Metrotix.com or in person at the Fabulous Fox box office.